Creating a 5th generation integrated air system is a complex endeavor. The requirements for the Joint Strike Fighter are numerous–it must be lethal, stand up to the rigors of combat, and be supportable in austere environments. The F-35 JSF must meet diverse needs of multiple services and still be affordable. One of the ways Lockheed Martin has done this is to use Nikon’s laser radar and the SpatialAnalyzer® (SA) software. 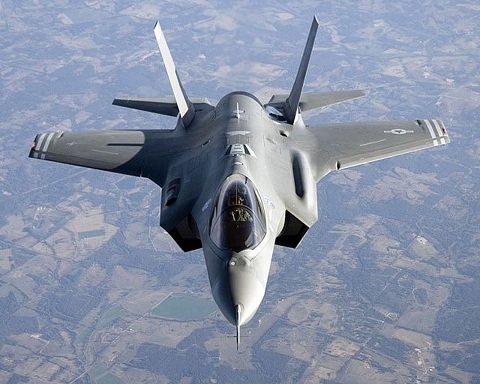 In October 2001, the U.S. Department of Defense named Lockheed Martin to lead the Joint Strike Fighter (JSF) team as the winner of the contract to develop the F-35 JSF until 2030. Partners in the F-35’s System Design and Development (SDD) phase include nine nations. Final assembly of the F-35 will take place at Lockheed Martin Aeronautics in Fort Worth, Texas, with parts from California and England. This joint effort makes the need for precision metrology extremely important. The parts are built at different locations so the measurements must be exact, so the parts fit together seamlessly. Since securing the F-35 contract, Lockheed Martin undertook immense efforts to identify and vet potential aircraft design, manufacturing, inspection, and assembly options. While the end product continues to evolve successfully, it’s important to assure that products at all levels meet or exceed design parameters. Some concerns still exist regarding how to make rate both at final assembly and at the major component level. This concern extends to the ease of use, repeatability, and speed with which part conformance can be verified and reported. As part of their process, Lockheed Martin Aero subcontracted component parts to qualified partner suppliers. This makes rapid deployment of part production and verification to a quickly expanding supplier base critically important. Lockheed Martin selected the Nikon Laser Radar measurement system for part inspection. The Nikon scanner, like most other portable measurement sensors, can be used for highly precise measurement tasks. Because of the instrument’s unique capabilities for quick, high accuracy, target-less measurement, on a wide variety of surface materials, it’s an ideal choice for automated inspection routines. The technology is both leading edge and proven–and includes an important advantage: a premium graphical metrology software package called SA. SA was developed in 1996 by New River Kinematics. Lockheed Martin uses SA with various portable metrology systems. NRK was the first to develop and maintain a complete software interface accessing the full capabilities of the Nikon laser radar system. Using SA, the Nikon instrument can be guided through complex measurement tasks with predefined SA Measurement Plans (MP's). While SA MP’s offer tremendous flexibility and a wide range of measurement process control, an operator can also revert to manual instrument control as needed. While the Nikon laser radar and SA offer the most versatile portable measurement technology available for Lockheed Martin’s inspection tasks, the challenge is to make a cutting edge, very flexible measurement system easy to use, repeatable and scalable. “Nikon Metrology’s Laser Radar system, powered by NRK’s SA software, is an essential component to the Cured Laminate Compensation (CLC) process – it increases customer productivity and quality. This is all accomplished with an added benefit of reducing overall manufacturing cost,” said Robert Wasilesky, Nikon’s senior vice president of sales and marketing. NRK has successfully delivered unique, simplified user interfaces that enable shop floor personnel with little initial training to quickly perform relatively complex data collection, analysis, and reporting activities using such instruments as the Nikon Laser Radar system. This interface is called Metrology Automation Part Inspection System (MAPIS) and using a combination of proprietary NRK development tools and SA base libraries, a unique users interface (UI) was developed for Lockheed Martin’s JSF program. The UI is simple enough that shop floor personnel have successfully used it, yet it is robust enough to accommodate Lockheed Martin’s needs for proper and thorough inspection. Lockheed Martin and the Joint Strike Fighter gain many benefits from the innovations of Nikon and SA including: repeatable accurate processes, less uncertainty, and consistent results. Those benefits aren’t stealth, they’re measurable!